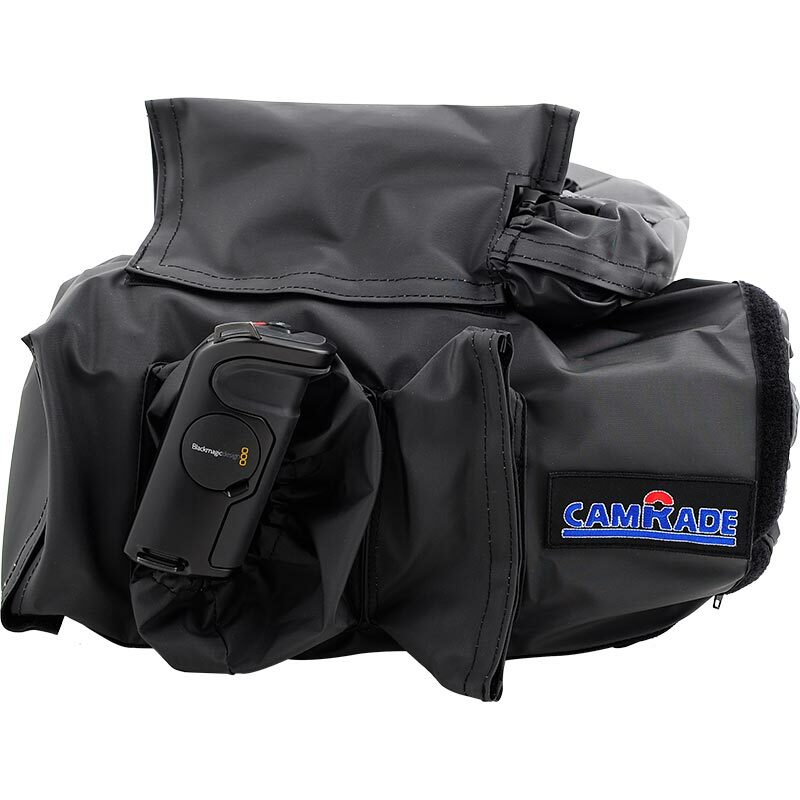 The camRade wetSuit Blackmagic URSA Mini Pro is a soft and flexible waterproof rain cover that protects your camera against the elements. It covers the viewfinder, top handle, shoulderplate and handgrip including the extension bracket. 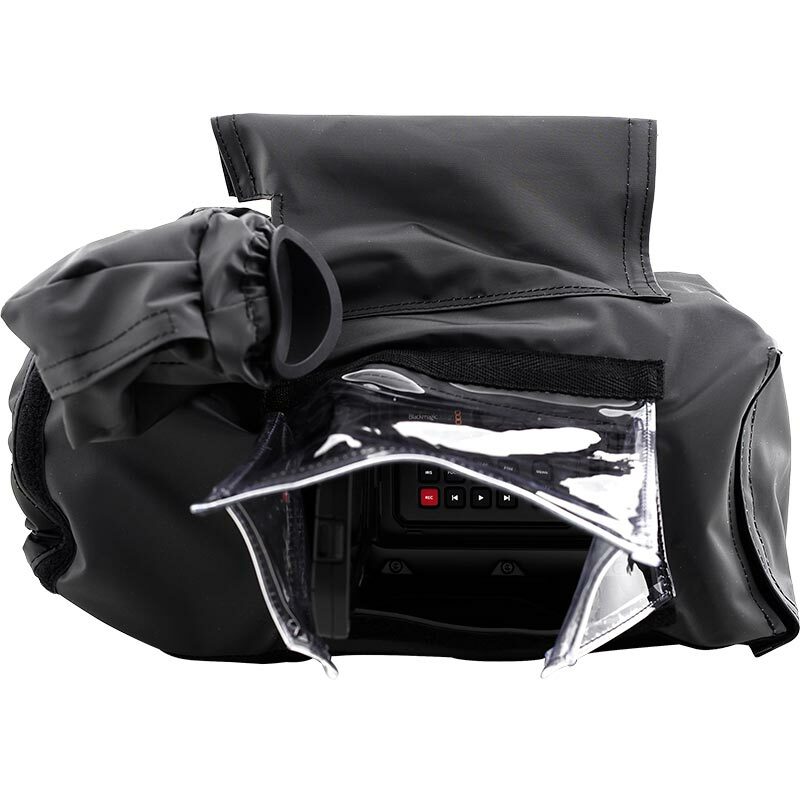 The rain cover is designed specifically for the Blackmagic URSA Mini Pro camera. The near silent fabric minimalizes unwanted sound effects caused by wind and rain and reduces the chance of the camera overheating by allowing hot air to escape via vents and openings. 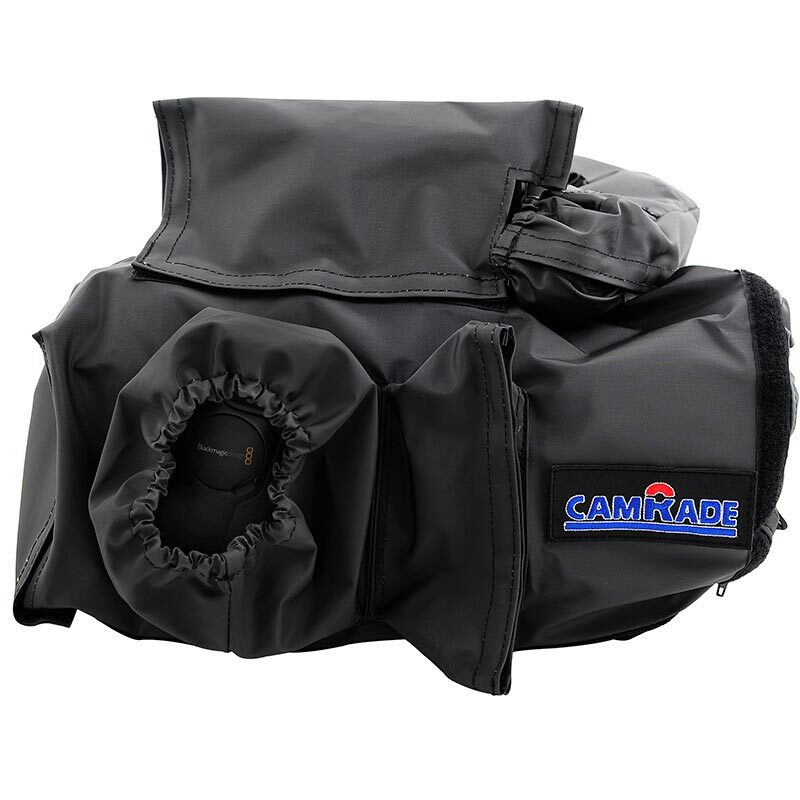 The wetsuit is supplied with 2 separate protection covers for longer lenses, making sure that any lens you might use will be well protected. A separate viewfinder cover is included. 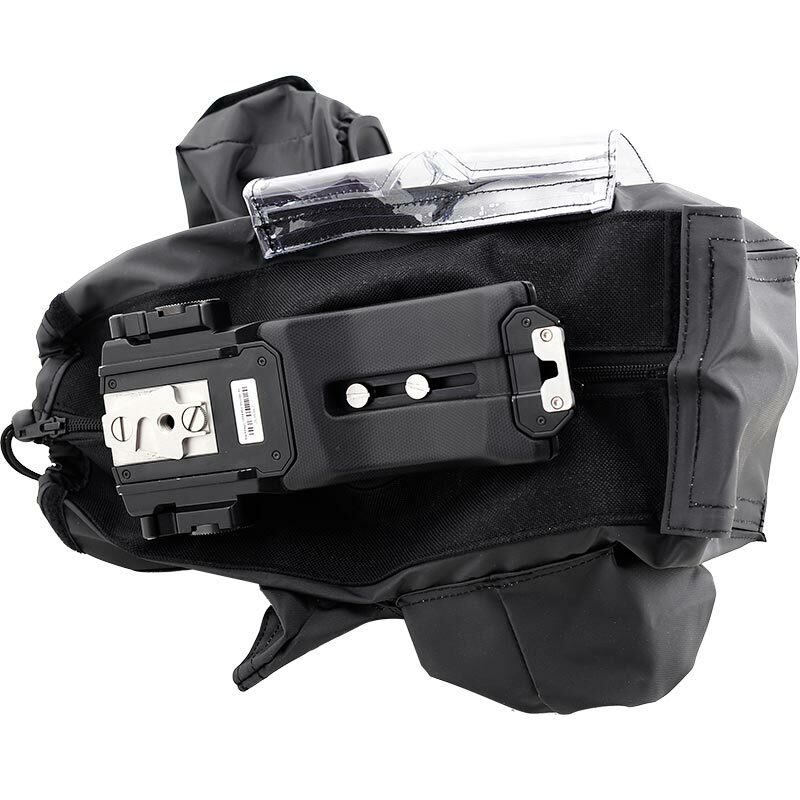 The bottom of the body cover has three zippers so you can close it securely around the base plates and make sure no water will come near the camera. To ensure optimal visibility, the cover has a clear vinyl window for the monitor screen and controls which can be opened during use. 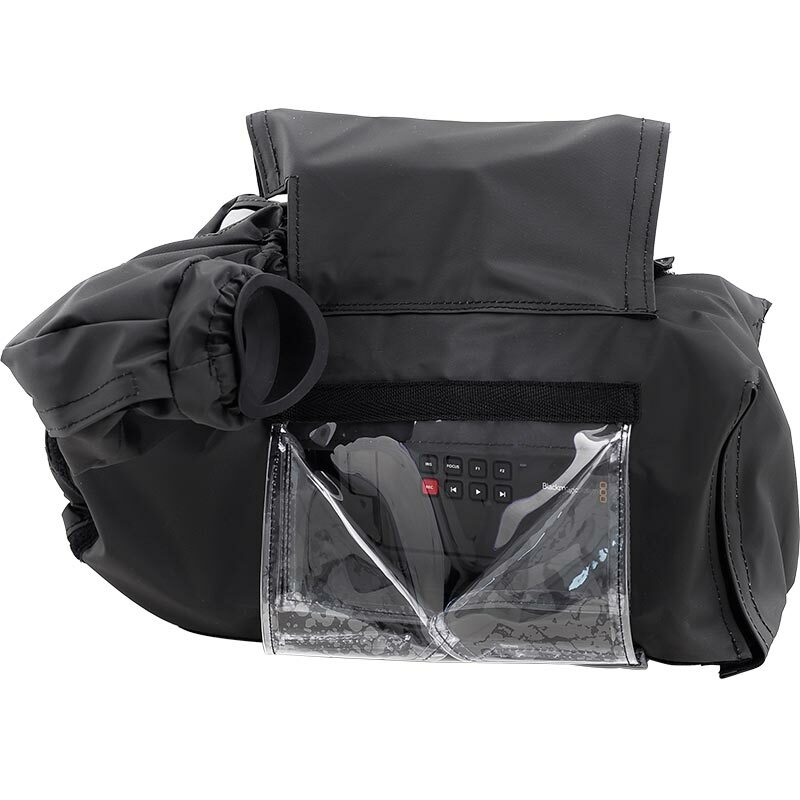 This item will be delivered to you in a waterproof pouch with zipper, which you can use for storing and transportation of the cover when not in active use.